Time management is the underlying issue of many other symptoms that leaders and business owners think are the actual problem. It’s often tricky to see the core problem when you are juggling so many responsibilities and projects. Yet, when I work down to the core issues behind the unwanted outcomes, we usually find that prioritizing time is the main challenge. The good news is that a few tweaks to how you look at your time, can completely change this around. All we have to do is get back to basics with the Dwight Eisenhower Urgent/Important Matrix. It’s a classic because it works, just ask Stephen Covey who has been professing it’s simplicity and effectiveness for decades. It’s a simple process that over time will become automatic in your brain. You’ll start seeing task lists in quadrant form and know exactly where to put your time. Urgent: requiring immediate action or attention. A little clarity on ‘Important’: This means it is important to you. What other people see as important may not be on your list of priorities. Rate your tasks on importance to you and your goals. If a task is not getting you toward your defined goals – it is not important. PERIOD. Which quadrant do you think you want to live in? Quadrant 1: Important & Urgent: High risk since it is a big goal that needs to be done now. Wile adrenaline seekers like this quadrant, this isn’t the ideal place for a leader who is looking for predictable growth in their business. It’s too high-stress and people can’t live there. Quadrant 2: Not Urgent & Important: Although this is one of the places people really want to be, it not where leaders get to if they are not consciously making decisions about their time. Because so many other things seem to have to get done now, this sweet spot of goal-achieving productivity without the pressure of a time crunch is often always beyond the horizon… until the task becomes urgent. This quadrant is ideal because it is often a proactive, creative space low in stress. Quadrant 3: Urgent & Not Important: When things are urgent, we can tend to place higher value on them than if they were not as immediate of a concern. Think of this like a limited time sale on something you don’t know if you will need. Sure you can save a ton of money now, which might make it urgent, but if you don’t know if you will need the item, it isn’t important to you at this point. This quadrant is where a lot of people end up spending a lot of time without getting to anything that is truly important to their business. Quadrant 4: Not Urgent & Not Important. These tasks are about as useful to you as surfing the internet for funny animal videos – maybe even less if these tasks are also not things you like to do. This is all the nonsense that likely doesn’t even have to be done – especially by you. If it isn’t moving the needle of your business and there’s no urgency, why did it make the list? Categorize your task list by quadrant. Remember that you are prioritizing according to your big goals when it comes to urgency and importance. Take anything that fell in quadrant 4 off your task list. We’re not going to do anything that isn’t urgent or important. If you feel that area will suffer if that item is not complete and create an important or urgent problem, then find a way to delegate or spend minimal time on it. Plan ahead your time for quadrant 2. Since you want to be able to approach those tasks before they become urgent, you need to schedule time into your schedule to work on those pieces. This will help you start to stay on time if you are known for always having big projects left undone until the last moment. These will also work for anything in quadrant 4 that might need to be done. First take a moment to consider why these items ended up both Important and Urgent. Was it procrastination? Or did you really get late notice on this task? In order to beat our own procrastination, we have to understand why we do it and plan better. So consider how you can get things to go differently in the future – if possible. Then, get on your Urgent & Important list now. Go crack it open and get all caught up so you can start planning your big goal items in advance when possible. It’s an easy way to categorize and see what is truly important to you, your business and the big vision you have. Just remember it’s only important if it is moving you towards your goals or maintaining your current business success. Want more help? It’s easy to get overwhelmed and not be able to see the big picture when it all seems urgent and important. I’ve set up a Worksheet that you can fill in each day or week to help you keep focused on what is helping you be successful and providing growth. This is a great tool to have handy – and share with your team! Keep everyone focused on their part by having them use these and empower them to make decisions about the amount of work they manage. Get the free worksheet here. Need even more assistance? I understand. Let’s talk. 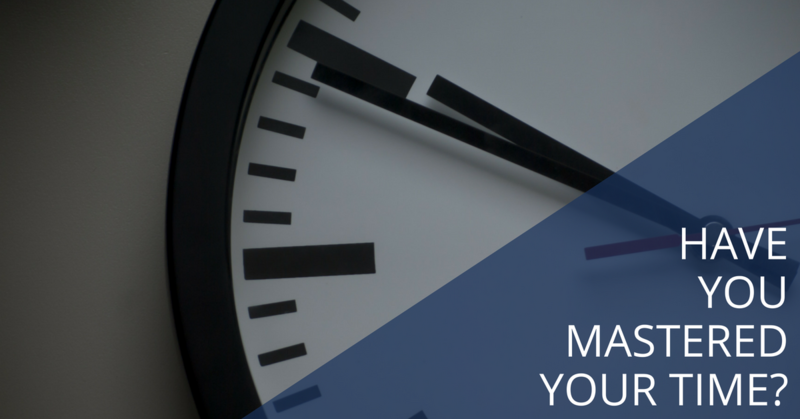 I’m happy to hear what your goals are and how you are (or aren’t) managing your time. Let’s work together to get a plan you can actually manage without living in the stressful world of quadrant 1. Contact me. Download the resources you need. Start with the Mission Statement workbook and get all my monthly resources here.